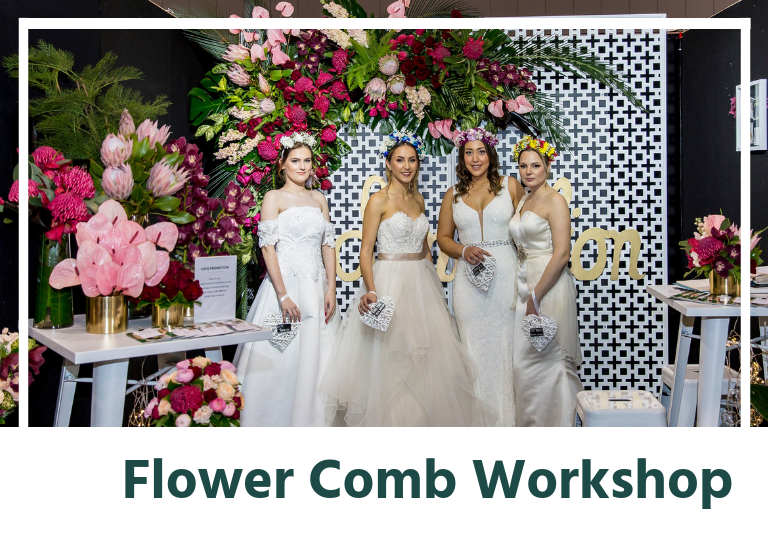 Melbourne Wedding & Bride Summer Expo is excited to introduce it’s free flower comb workshop to the January show! With a beautiful selection of fresh seasonal flowers, this is the perfect activity for you and your bridal party. You’ll learn how to make stunning flower combs, and have the opportunity to bond with your bridal besties. Once you’ve completed your flower comb, you can take it home with you. The workshop will be running all day on Sunday January 20 for all who attend the expo.